Anthem Alert! Solo-EP by Hamburg’s Nils Nuernberg who has released on Liebe&Detail, 8 Bit and Diynamic in the past. His solo outings have been rare and this here is his first solo-release after 5 years. We have roadtested THE MORNING SLAP to great success and can guarantee a sure-shot in all the late-night venues. 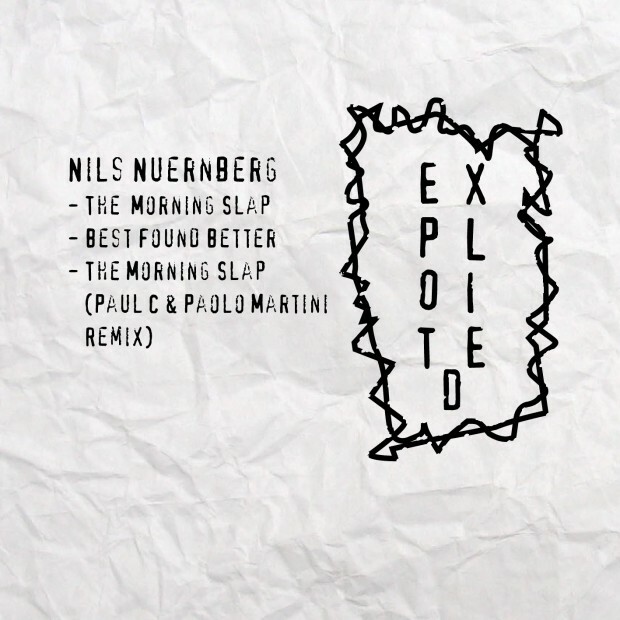 Comes with a more stripped down techy remix by Paul C & Paolo Martini known from their latest works on Hot Creations and Terminal M.
Nils Nuernberg has already contributed music to Exploited with his production partners Florian Kruse & Polargeist in the past: ‘Temperature Rise’ was a full frequency excursion into slo-mo cosmic house – think Love From Outer Space tempo and groove but with extended breakdowns and even bigger drops – and we are happy to finally present this solo joint by Nils which is totally mental and musically a bit different to the stuff he is doing as part of Kruse & Nuernberg.